Angel Obasi popularly known as The Style Connaisseur is obviously a force to reckon with in the Nigerian Fashion Industry. Her style game is definitely on point and we want to take style lessons from her. 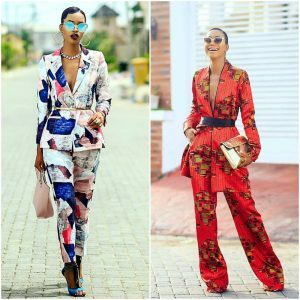 Her recent Instagram photos reveal that Angel has a thing for 2-piece suits and matching co-ord sets. Two piece outfits are designed to be worn together as well as separately. They are also available in different patterns, prints and designs. 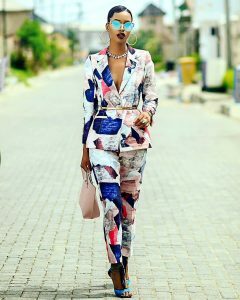 Be it Ankara, Florals or a Solid yet vibrant print the Style Connaisseur definitely knows how to serve boss chic vibes while styling two-piece outfits.